Find Broomfield, CO Homes for sale. View Photos, Maps and MLS Data Now! Brand new Thunder Vista K-8 neighborhood school. Just wow! MLS#6631524. RE/MAX ALLIANCE. Northmoor Estates - Additional features include main floor laundry, no HOA, Boulder Valley School District and an excellent location, close to parks, schools, shopping and highways~ Make sure to visit this weekend! MLS#7446257. Shorewood Real Estate NOCO. Greenway Park - This beauty won't last long, book your showing today! MLS#2420558. Redefy. Assumable Solar Panel Lease for low utilities @ $54.00 a month with 15 years remaining on the lease, for energy savings. MLS#4623505. Redfin Corporation. The Broadlands - An elegant master suite w/private entrance, cozy fireplace, custom closet system and exquisite master bath anchors the upper level of this executive home. MLS#2267739. RE/MAX ALLIANCE. Broadlands - See it now! https://my.matterport.com/show/?m=mwX1j6y7wPv&brand=0 MLS#7372772. Search Colorado RE LLC. Step out back and relax on a custom stamp patio, back to open space, trails and Mountain views MLS#6657036. Keller Williams 1st Realty. Basement is unfinished with a rough in for another bathroom. MLS#9343043. MB COLO PROPERTY FINDERS LLC. Buyer to verify measurements and schools. MLS#4319152. CapRock Corp.. Listing agent is the home owner/seller. MLS#4124617. Licher Real Estate Group. The Trails At Westlake - The home is within easy walking distance to the Paul Derda Rec Center. Tuff Shed is included! MLS#6920533. RE/MAX Alliance. 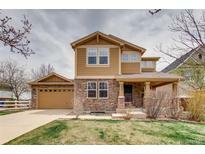 Broomfield Heights - You won't want to miss out on this great home and location. MLS#4537944. KARLA GROSSNICKLE. Finished bsmt w/conforming bedroom, full bathroom, wet bar, large den, & fitness area. MLS#4705203. Area 303 Real Estate, LLC. Sits on great lot backing to greenbelt & AMAZING mountain views! 3-car garage, full unfin bsmt. MLS#5950702. LIV Sotheby's International Realty. The Broadlands - Meticulously maintained & pride of ownership throughout! MLS#3460821. Keller Williams DTC. Don't miss out on this great home! MLS#8623101. eXp Realty, LLC. Mckay Landing - Escape to the basement that has been beautifully finished with a large bonus room, wet bar, 5th bedroom & bathroom. A truly lovely space. MLS#9117597. RE/MAX NORTHWEST INC.
Broadlands - Show and sell, your clients will love the location! MLS#3312243. MB STOVALL & ASSOC. Come check out this Broomfield gem! MLS#1684763. Live West Realty. Hurry, You Will Not Want to Miss Out On This Stunner With High End Updates! MLS#1909316. RE/MAX NORTHWEST INC. The Broadlands - Highly rated Adams 12- 5 Star School district, easy access to I25, Longmont, Boulder & amenities. MLS#6829909. COLDWELL BANKER RESIDENTIAL 54. Seller is licensed agent in CO. Priced to move! MLS#7124463. RE/MAX ALLIANCE. Wildgrass - Adjacent to trails and open space, convenient to everywhere! MLS#1736679. Wiens Real Estate Ventures LLC.